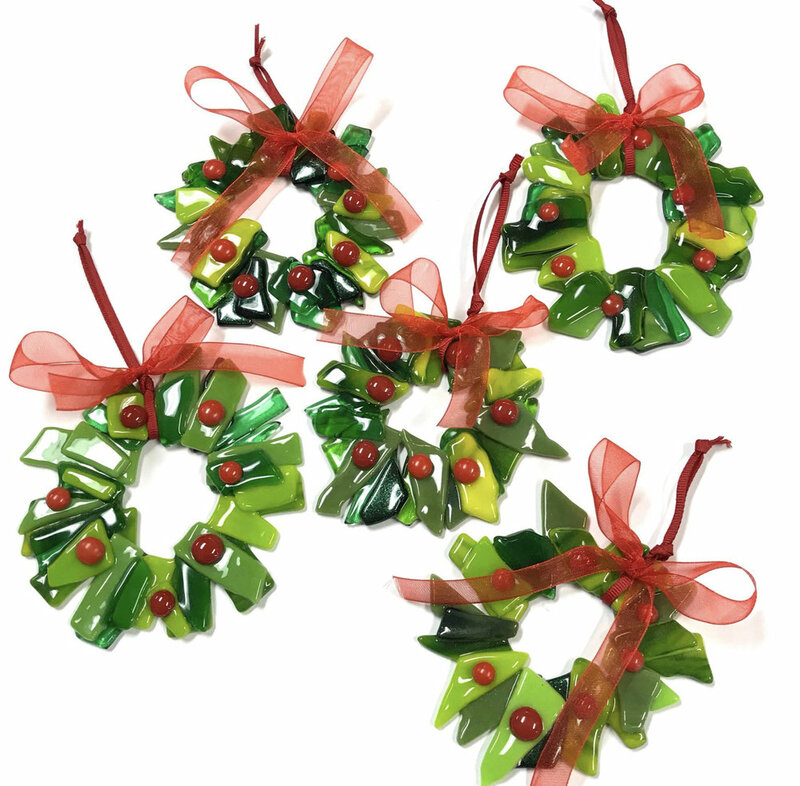 Come celebrate the most wonderful time of the year by making your own fused glass ornaments! In this workshop, the most wonderful Cathy Cartwright will guide you through the fun and easy creative process to make three different ornaments to either gift away or keep for yourself — or both! 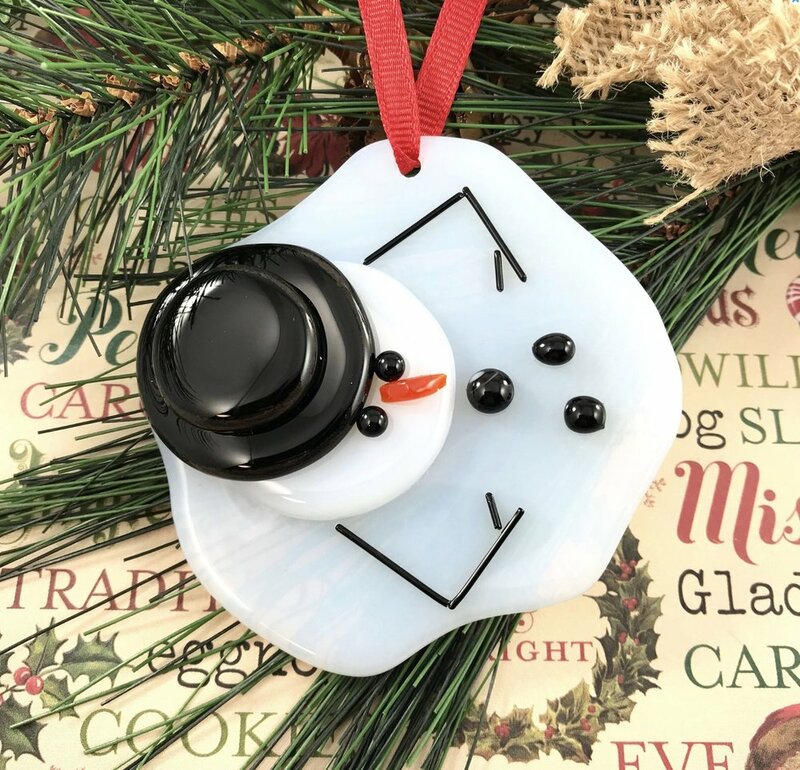 Whether hanging in a tree or in a frosty window, these holiday ornaments are certain to light and delight throughout the season. Class is $45 for three ornaments; additional ornaments may be made (time permitting) for $15 each. Cost includes all materials, tools, and instruction. Glass will be fired and available for pickup at Art Box several days after the class.